With the new lighter fluorite glass elements located towards the front of the new Nikon 500mm and 600mm f/4 super telephoto primes, the lens’s center of gravity moves toward the rear for improved handling and a more convenient tripod collar position. Tipping the scales at 3090g and 3810g, the new Nikon 500mm and 600mm f/4E FL ED VR are significantly lighter than their predecessors, offering a 20% and 25% weight reduction, respectively. These huge weight savings are partly due to the inclusion of some magnesium alloy in the build, but mainly thanks to the use of lighter fluorite glass elements in the optical construction. Located towards the front of the lens, the lighter fluorite elements not only reduce the overall weight, but also help shift each lens’s center of gravity towards the rear for improved handling, with the tripod collar positioned further back. Designed to withstand the rigours of professional shooting, the front element of each lens also benefits from a fluorine coating to help repel water, dust and dirt for those working in challenging conditions. The E in the name denotes the addition of a new Electromagnetic Diaphragm, which Nikon claims offers more consistent exposures during high-speed burst shooting and improved autofocus tracking, both of which will be a big benefit to professional sports and wildlife snappers. Nikon’s 4-stop Vibration Reduction (VR) system on both lenses will facilitate shots free of camera shake even at shutter speeds as slow as around 1/40 second on the 600mm. VR makes use of three modes – Off, Normal, and Sport. Sport mode promises a more stable viewfinder during VR operation and a release time lag that’s similar to having VR turned off — again, great for pros shooting in fast-paced environments. The inclusion of Nikon’s Silent Wave (SWM) autofocus motor offers quick and quiet AF operation, with three settings, including A/M, which prioritizes autofocus when the manual focus ring is in use; M/A, which allows instant switching from manual to auto; and M, which disables the motor completely. The focus limiter switch limits autofocus distance to between infinity and 10m on the 600mm and to infinity and 8m on the 500mm. 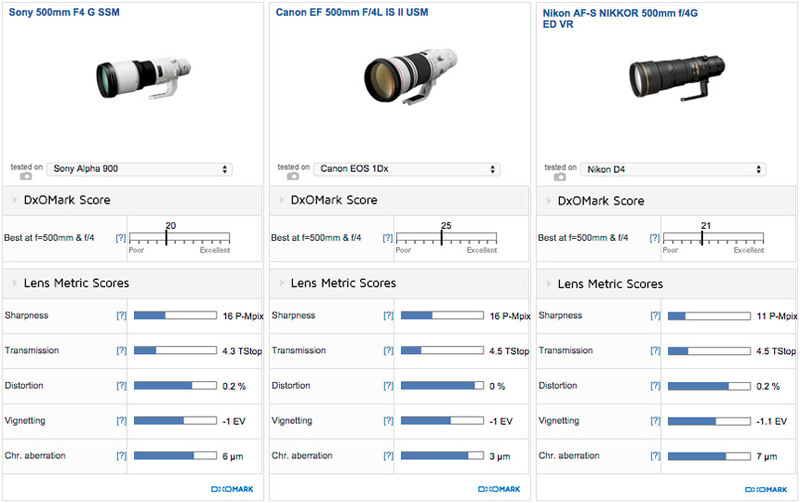 The minimum focus distance has been reduced on both lenses to 3.6m on the 500mm and to 4.4mm on the 600mm. If you need even greater focal reach, both lenses are compatible with Nikon AF-I/AF-S teleconverters, up to and including the TC-20E series, and will continue to offer autofocus operation when used on an f/8-compatible camera body. The 40.5mm filter drop-in slot at the rear is the same as with the current lenses, so you can use your existing filters, and both lenses are compatible with the new C-PL405 circular polarizing filter that can be easily rotated in situ. Both lenses come supplied with a lens hood, including a new one-piece HK-40 lens hood for the 600mm, and new optional trunk cases will be available for both lenses that include an extra compartment for filters and teleconverters, as well as a fold-in handle for easy stacking. 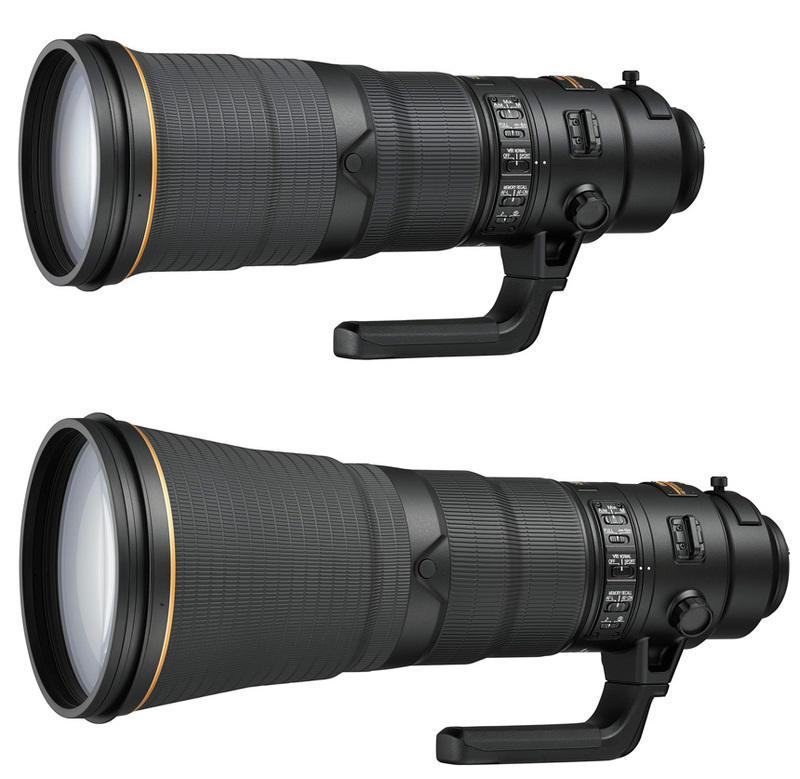 Both the Nikon AF-S 500mm and the 600mm f/4E FL ED VR will be available starting the end of July at prices of £8,149 / €10,999 and £9,649 / €12,999, respectively. 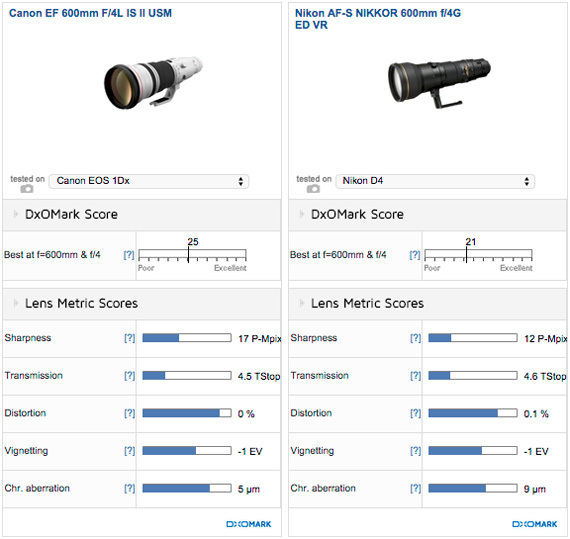 The current Nikon 500mm and 600mm f/4 lenses have a lower Sharpness score compared to their Canon rivals when tested on high-performance DSLRs such as the EOS 1Dx and Nikon D4. Will the new versions close the gap? We hope to bring you full test results and reviews soon.